Las Delicias Golden Valley Road can be contacted through the form on their website at https://lasdeliciasscv.com/ or by phone at (661) 290-2625. Las Delicias Golden Valley Road is located at 26515 Golden Valley Road, Santa Clarita, CA 91350. Come in today and try any one of our amazing dishes or bring something delicious home to your family! 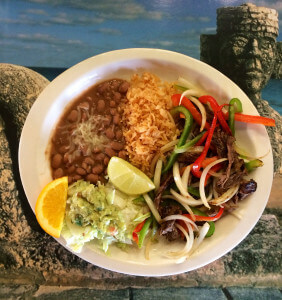 Don’t ever settle for anything less than delicious, come to Las Delicias and you can expect only the best! We have the freshest most authentic mexican food in the SCV. Try our amazing tamales, enchiladas, burritos and much much more! We also have some of the freshest seafood you can get. Here at Las Delicias we’re dedicated to serving you the freshest, most amazingly mouthwatering Mexican food in the Santa Clarita Valley. We’re also on a mission to give you amazing food at a price that you can feel good about. We want to give you and your family an amazing meal at an amazing price that you won’t feel sick about when you get home. Our delicious food comes at a price that you’ll love. So come in today and try out any of our amazing entrees or family meals, all for a price you’ll love. We want you to be happy about every part of your meal, from beginning to end. So come on by our convenient location at 26515 Golden Valley Road, Santa Clarita, CA 91350 and try us out! We’d love to see you and your family and give you a true Mexican food experience!